Packing for a holiday can often be a stressful experience and quite often people either pack far too much or forget one of the essential items. So with this in mind we have compiled an essential holiday packing list that you can follow before going on your China holiday this summer. A travel wallet and passport holder is a vital item to pack as it allows you to safely keep your passport and other important documents together in one place. 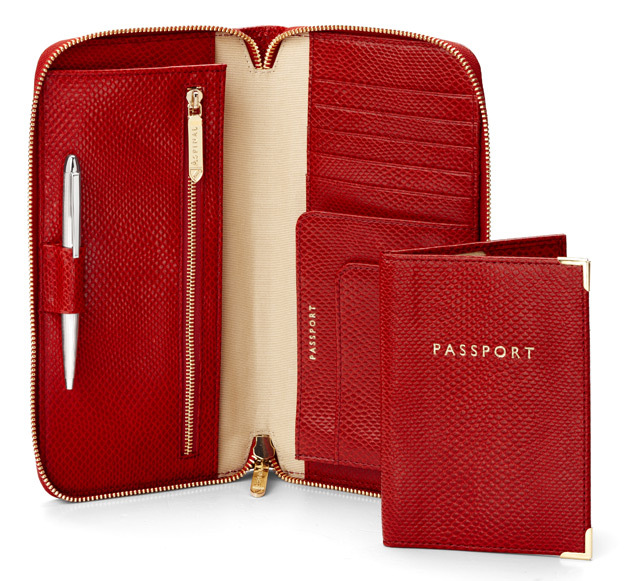 Aspinal of London have a range of passport holders and one of the most sought-after products is the Berry Lizard Zipped Travel Wallet and Passport Cover. It is the perfect travel accessory to your hand luggage – handmade from berry lizard print Italian calf leather and lined in signature cream grosgrain, it makes sure you stay organised in style. The travel wallet and passport cover from Aspinal of London has five credit card slots and two slip-in compartments to hold your passport and boarding pass. There is also one full-length open pocket for tickets and other documentation as well as a zipped compartment to hold currency and a pen holder loop. The matching Plain Passport Cover is embossed with “PASSPORT”, lined in moire silk and features a signature grosgrain ribbon marker. Aspinal of London can also personalise the Passport Cover for you. When you are going on a long-haul holiday like China, the last thing you need is to lose some of your belongings as a result of your suitcase falling apart. That’s why buying a new one should be at the top of your list and if you are on the lookout for a new cabin case then you should check out The Works, who have a number of suitcases available at great prices. For example, the Blue Constellation Case from The Works is available for just £15, which is a 40 per cent discount off the recommended retail price. The 18-inch blue polka dot luggage case features a front zip pocket for quick and easy access to your passport holder and other important documents, whilst the internal case boasts a large space capacity and elasticated strap for all of your holiday essentials. The case has a lightweight design and features two wheels, an integrated top handle, an adjustable trolley mechanism, a padlock with keys and comes with a one-year guarantee. The case is 50 x 40 x 20cm and has a maximum capacity of 21 litres. 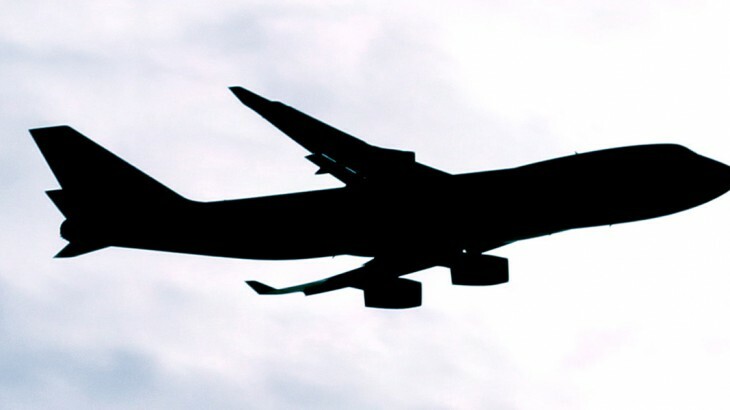 Check out our airline luggage guide for some more suitcase suggestions. A camera certainly should be on a travelling essentials list as it is a great way to remember the best bits of your holiday. If you are going on a China tour there will be plenty of memories that you will want to take back and share with your family and friends, and to do this you need a good camera. 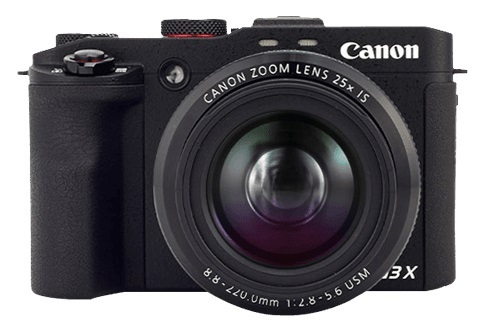 The Canon PowerShot G3 X is that camera. It delivers stunning image quality, whether you have a passion for stills or video, and helps you reach new levels of creativity never before seen in a compact camera. The PowerShot G3 X is ideal for stunning nature shots, or capturing all the detail of a lively festival, and is the choice for expert and amateur photographers across the land. The Canon PowerShot G3 X costs just £799.99, a small price to pay for amazing photographs and memories that will last you a lifetime. If you are visiting attractions like the Great Wall of China, then you will probably be walking for long periods of the day and therefore it is essential to pack some comfortable sandals. 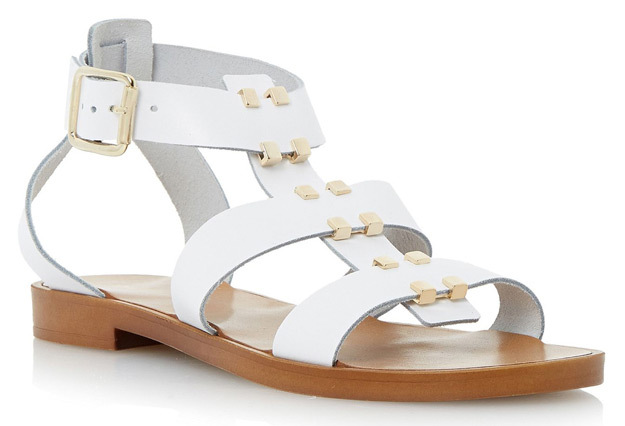 The Dune Lance studded leather gladiator sandals from House of Fraser are a great option for ladies, as not only do the sandals offer pure comfort, but they also look great too. The sandals let your feet breathe, which can be a lifesaver in hot and humid conditions, and the square metal studs that go along the front of the shoe add to the beauty of the product. The sandals normally cost £59 but are now on offer for just £29. For the men in the group, Next’s Fisherman Sandals are a great option as they also let your feet breathe in hot weather and are really comfortable too. The shoes come in two different colours – brown and tan – and for £35 are reasonably priced. Buying a phrasebook before your trip to China is certainly worth getting, as trying to learn a little bit more about Chinese people and the different dialects is important. Most Chinese phrasebooks cover the 14 different languages spoken in this vast country; Mandarin, Cantonese, Chaozhou, Dongbei Hua, Hakka, Hunanese, Shanghainese, Sichuanese, Xi’an, Yunnan Hua, Zhuang, Mongolian, Tibetan and Uighur. This guidebook from Lonely Planet that is available on Amazon even includes a culture section of the different food and festivals that can be found in China. For the essentials to get you by, check out our Chinese phrases cheat sheet. Towels usually take up the most room in a suitcase, but the anti-bacterial Giant Gelert Soft Towel from Sports Direct packs down into a handy carry pack. 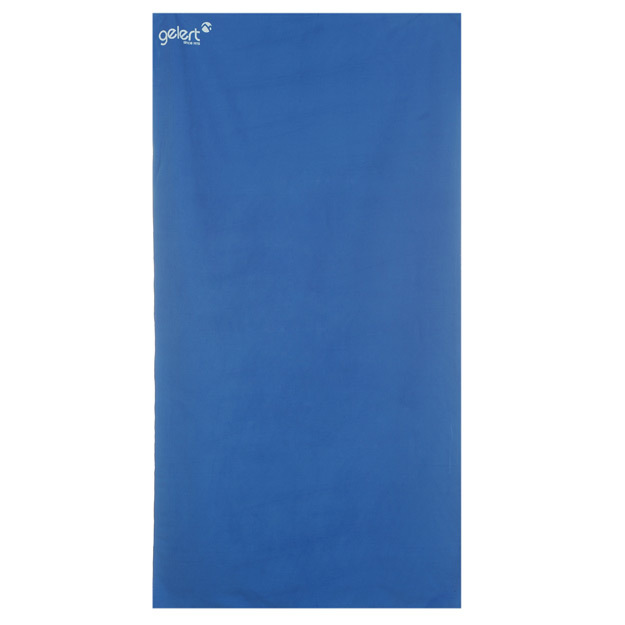 Designed with a highly absorbent soft fibre material and fast drying design, complete with the Gelert branding, this towel is perfect to take on excursions and tours. The recommended retail price for the towel is £19.99, but the towel is currently available on the Sports Direct website for just £8.75 – a great bargain. It is not uncommon for people to get a bad stomach when eating foreign foods and China is no different. Should the dreaded Delhi belly hit you, then Charcoal tablets can make all the difference. Bragg’s Medicinal Charcoal, available on the Weldricks Pharmacy website, offer 100 per cent natural relief for indigestion, wind and heartburn. It also alleviates the symptoms of Dyspepsia (chronic or recurrent discomfort in the abdomen accompanied by bloating, belching, nausea) and offers relief from diarrhoea. If there are any other essential items that you think we should have included in the list, then have your say in the comment section below. Image Credit: Aspinal of London, Canon, House of Fraser, Sports Direct.